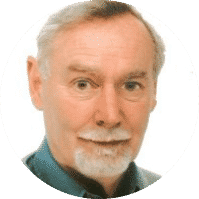 Bill Metcalf – both a Chartered Engineer and a Chartered Physicist – has many years’ experience of academia, business and consulting. He started life as part of a radar design team responsible for the UK’s very first airborne radar (Blue Joker) followed by Blue Yeoman – a long-distance, frequency agile, anti-jamming radar which was used throughout the cold war. In 1963 he joined the Cavendish Laboratory in Free School Lane and spent the next nine years as a radio astronomer using his radar expertise to design a variety of equipment to underpin the work of the Mullard Radio Astronomy Observatory in addition to reorganising the teaching of practical physics in Cambridge. In 1971, he joined the Pye Group (subsequently Philips, and then CEI) and, after many years as Technical Director, ended up as Managing Director of Cathodeon Crystals employing ~ 450 staff. He left Cathodeon in 1985 to set up CSM and, later, Geo Strategies Ltd.
Over the years, Bill has managed both large and small projects (see Case Studies) and also acted as an interim CEO for organisations requiring his particular blend of skills. These days he is heavily involved with ‘Big Data’ projects in a variety of industries including banking, insurance, property development and retail. To these he brings a wealth of experience to extract business insight and meaning from a wide variety of data.